Kids who understand how to manage conflict successfully can transform their schools into safer and kinder places to learn. 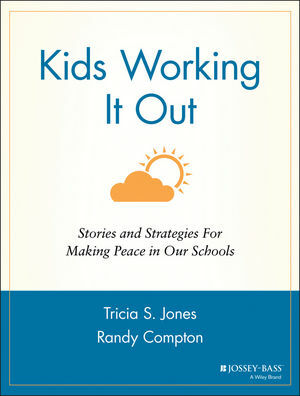 Kids Working It Out offers educators and parents a guide to the most current and effective school-based conflict resolution programs and shows how these programs can make a positive difference in our schools. Throughout the book, students and teachers share their stories of what it's really like in today's schools and reveal how Conflict Resolution Education, has shaped their experiences. Kids Working It Out covers a wide range of topics-- curriculum integration, peer mediation, restorative justice, and others-- and shows what it takes to implement an effective program in any school, and any community. Tricia S. Jones is professor, Department of Psychological Studies, Temple University and editor-in-chief of Conflict Resolution Quarterly (formerly Mediation Quarterly), published by Jossey-Bass. Randy Compton is executive director of the School Mediation Center in Boulder, Colorado and project coordinator for the National Curriculum Integration Project.